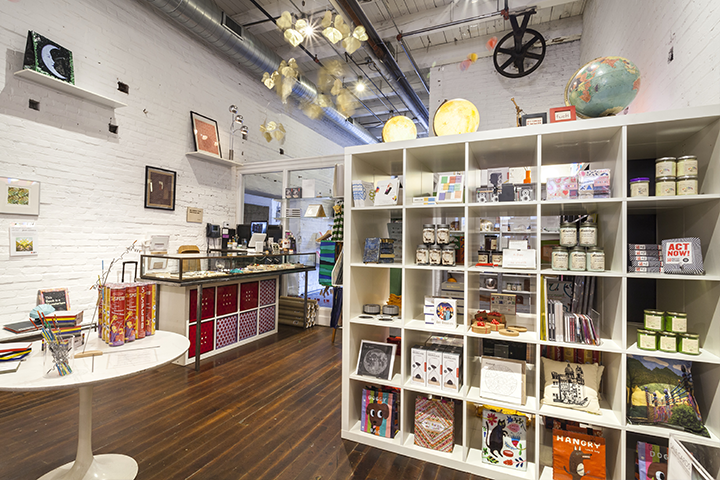 At the Mattress Factory Museum Shop visitors will discover a treasure trove of objects ranging from compelling art books and artisan jewelry to delightful, handmade greeting cards and funky decor. The inventory--which is refreshed frequently--mirrors the playful and interactive nature of the artworks on display in the galleries. Reasonably-priced products from distributors both international and local engage our customers and offer them a chance to examine art and creativity in their own lives. Your purchase from the MF Shop helps to provide support to artists in creating major, new, site-specific installations.